I was amazed with the outcome of the Animal Tales Fundraising Program at Cheras LeisureMall that started last month. It was a fundraising initiative in partnership with Crayola Malaysia to support SPCA Selangor’s animal welfare advocacy and to create ‘The Biggest Mosaic Made of Crayons’ for in Crayons’ for the Malaysia Book of Records, as well as the Guinness World Records to raise awareness on animal welfare issues. This initiative truly sparked the creativity and build community engagement in partnership with Crayola Malaysia. It looks as if the animals are ‘alive’ and seen ‘roaming free’ on a giant safari mosaic made of recycled crayons. It was artistically constructed at Level 2 Cravings Lane, Cheras LeisureMall, shoppers will be captivated by a giant mosaic depicting a harmonious group of animals living in the wild, measuring 10.28 metres in length and 6.97 metres in width. The animals are brought to life with 3 tonnes of recycled crayon pieces and 2,270 mini mosaics, the masterpiece is a result of a community engagement initiative, whereby more than 2,000 participants of all walks of life from as young as a 4-year old child to an 80-year old participant who came together through a common passion for animal welfare issues. Animal Tales Fundraising Program was held from 15 – 31 July 2017, where participants had the opportunity to build mini mosaics using recycled Crayola crayon pieces with a participation fee of RM10 each. 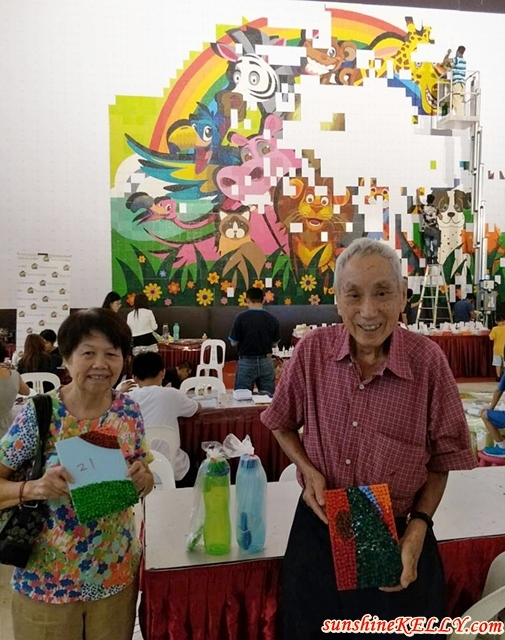 The mini mosaics were then combined and repurposed to create the ‘Biggest Mosaic Made of Crayons’, which became an iconic showpiece at Cheras LeisureMall to raise public awareness about animal protection and conservation. Cheras LeisureMall is working closely with the Society for Prevention of Cruelty to Animals (SPCA) Selangor, the beneficiary of this initiative, the giant mosaic also seeks to encourage and instill compassion, respect, and empathy towards animals, so that all living creatures may live together in harmony. This initiative not only gives a great experience to the customers but also instill greater awareness on the importance of humane treatment to animals. It garnered tremendous support from the community, as Cheras LeisureMall managed to raise RM22,500 from the fundraising drive, and PPB Group Berhad (the management of Cheras LeisureMall) will contribute an equivalent amount to channel a total of RM45,000 to SPCA Selangor. 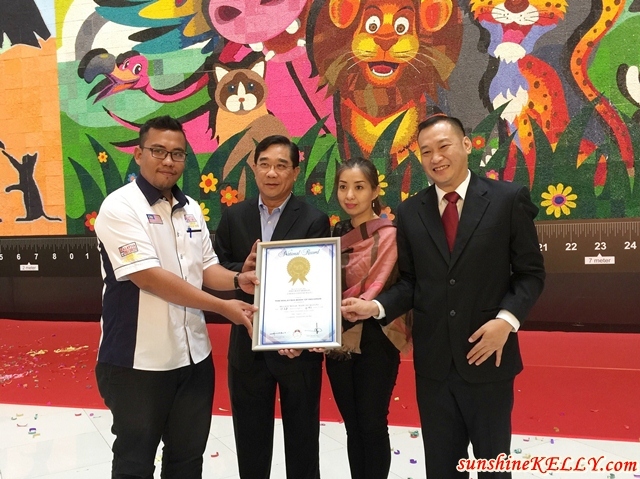 Cheras LeisureMall was awarded the ‘Biggest Mosaic Made of Crayons’ in Malaysia by the Malaysia Book of Records (MBR) upon the evaluation by MBR representatives at the kick-off event. Both Cheras LeisureMall and Crayola Malaysia are also in the midst of submitting for the Guinness Book of Records’ accreditation. The giant mosaic is now on display at Cheras LeisureMall for public viewing. Animal Tales Fundraising Program is Cheras LeisureMall’s maiden animal welfare-driven initiative aimed at championing the noble cause of animal conservation and protection. It is also aligned with Cheras LeisureMall’s commitment to promote community-driven activities by contributing and engaging with the communities in which the company operates, and with the society at large. Very nice mosaic artwork, nice to meet your there too. Wow~ Impress with their talented drawing here. Say no to animal cruelty. A good charity to create awareness to the public and help the animals in the world.